Today, March 8th, is International Women day. 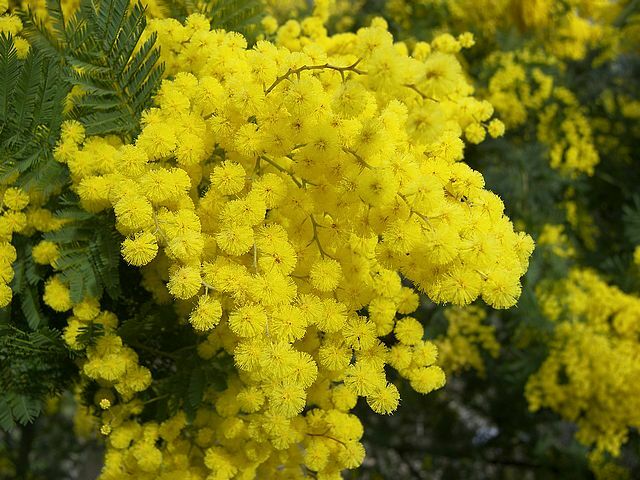 In Italy we call it Festa della donna (Women’s day) and the fragrant yellow mimosa flower is the symbol of this holiday. Today, one year ago, my madre (mother) was laid to rest, coincidentally, on the same day that my father was born. I keep thinking that she didn’t want him to spend another birthday alone and I comfort myself thinking that today, they must be celebrating in Paradise. So, on this day I celebrate all women, and in memory of the strong woman who my mother was, I will share with you another beautiful poesia (poem) by Annabella Mele. I have introduced you to this Italian poetess in my January’s post, First snow, and today’s poem is a testament to her talent and her heart. You can listen to the poem in Italian while following the text and then read the English translation at the bottom of the post. di un nido. . .
e di bucato. . .
abbatte i contorni. . .
tra fragili fili d’argento. . .
of a nest. . .
during the day. . .
breaks down the boundaries. . .
between fragile threads of silver. . .
Professoressa: I would not have written this comment as I would not want you to think I am merely writing to you without a purpose, so, please accept this response. Your sincere tribute to your mother has great significance to me. You see, my mother also died last year, also in March (5/3/2011). And, she died on her birthday. Life presents many ironies. While the death of our mothers was heart breaking, in some small way the personal significance of the day they died was both heartwarming and comforting to each of us. Bill: I always cherish comments and yours, today, is particularly appreciated because it shows that I have been able to touch someone’s heart. So, THANK YOU for sharing your story with me.